Activa has created an exciting Quick Sculpt kit for all your sculpting needs which features CelluClay the original instant paper mache. This is the perfect starter set for school projects, holiday ornaments and other arts and crafts! 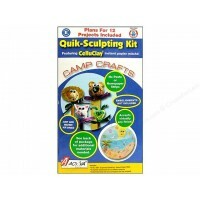 Quick Sculpt CelluClay contains 32 oz of white CelluClay and complete instructions for 12 exciting projects! See CelluClay for a full description of this valuable .. 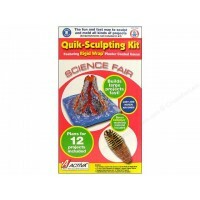 This product is perfect for creating crafts for camp, holidays, science fairs and much more! Rigid Wrap plaster gauze kit includes two 4” rolls of Rigid Wrap plus 8oz of CelluClay Instant Papier Mache and complete instructions for 12 fun filled projects! See Rigid Wrap product description for full details of this great product. This incredible starter kit can be used to create crafts that best ..